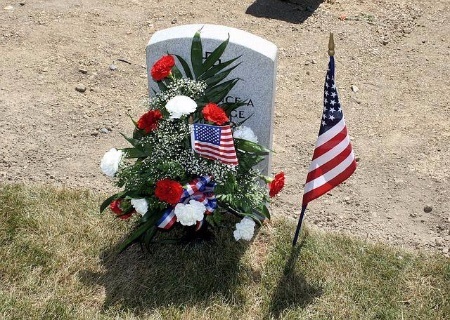 Home › Culture and Arts, Lifestyle › How Do You Observe Memorial Day? Today is Memorial Day in the United States. While originally a day designated to honor the fallen in the Civil War, this day has become a way to remember the fallen in all wars fought by the United States. It has even become a day that many of us thank veterans that are still alive. Memorial Day has become a way for us to think about the sacrifices made by military service members, past and present. So, how do you observe Memorial Day? I often find myself sleeping in, and then getting up to do work. I don’t often take Memorial Day off; I usually have client work to do. However, I do try to take some time to reflect on those who have sacrificed on my behalf. There aren’t a lot of military service members in my own family. My maternal grandfather served in the reserves, but other than that, there haven’t been soldiers in my family. My husband’s family has soldiers, however, including his grandfather who was decorated and his second cousin, who served in Iraq. Even though I don’t have a lot of family members who have served, I do know people who have. A surprising number of those in the financial blogging space have served in the military, and as I have gotten to know them, I feel a great deal of respect for them. I think it only fair to stop and think about them and their sacrifices. To me, it seems even more important because I will never have to experience this sacrifice, and my privileged background means that my immediate loved ones will probably never be in any real danger. Some years, I join my parents as they visit graves of loved ones in cemeteries around the state of Utah. We aren’t the only ones. Many of us think of Memorial Day as a day to think about all of our dead — not just our military dead. It’s a time to think about those who have passed on before us, and who have tried to make a better future for us, even if they haven’t served in the Armed Forces. This year, I am far from my family, and I have no graves to visit. I’ll probably take my son to the apartment complex pool so he can play (the pool opened this weekend) in the water and enjoy his day off school. I’ll get some more work done. But we’ll also talk about sacrifice and its nature. I want my son to understand that there are people who work hard so that he can have security, safety and plenty. Some of these are people that he has known in his short life. Some of them are people he will never meet, who have sacrificed for all of us. He should understand that. And, since he just finished up a poetry unit in English, I think we’ll take a look at the poem that has come to be associated with Memorial Day.